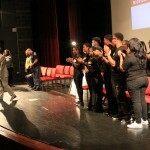 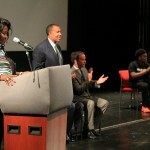 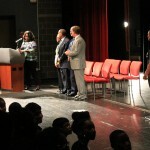 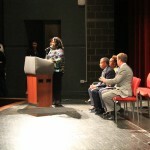 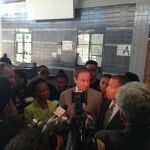 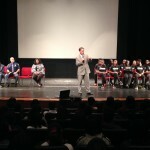 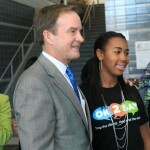 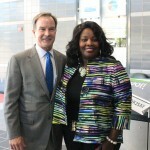 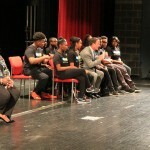 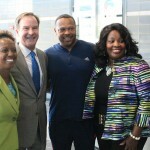 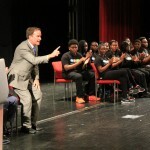 Michigan Attorney General Bill Schuette joined Detroit Public Schools Assistant General Counsel Marquita Harris Sylvia, Detroit Cass Technical High School Principal Lisa Phillips, representatives from Michigan State Police and students at Detroit Cass Tech High School to promote the success of Michigan’s OK2SAY student safety program. 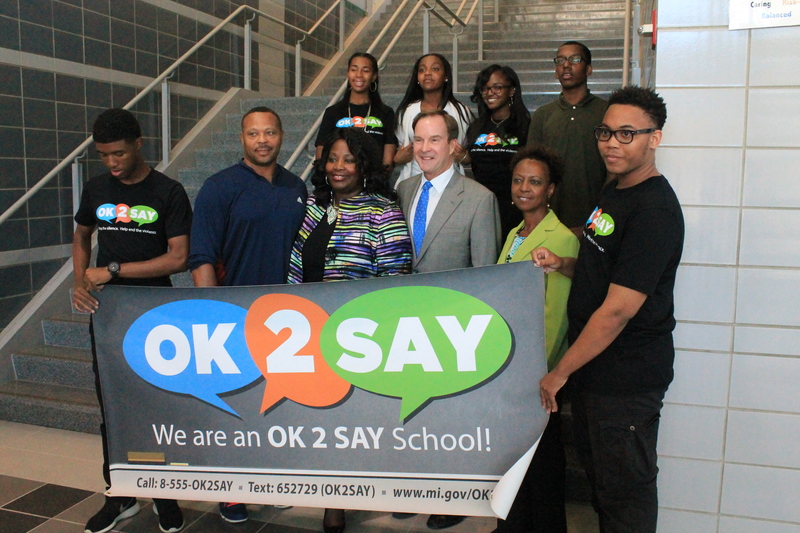 OK2SAY is a student safety initiative available to Michigan students in grades K-12 and enables students to confidentially report potential harm or criminal activities aimed at students, teachers, staff or other school employees. 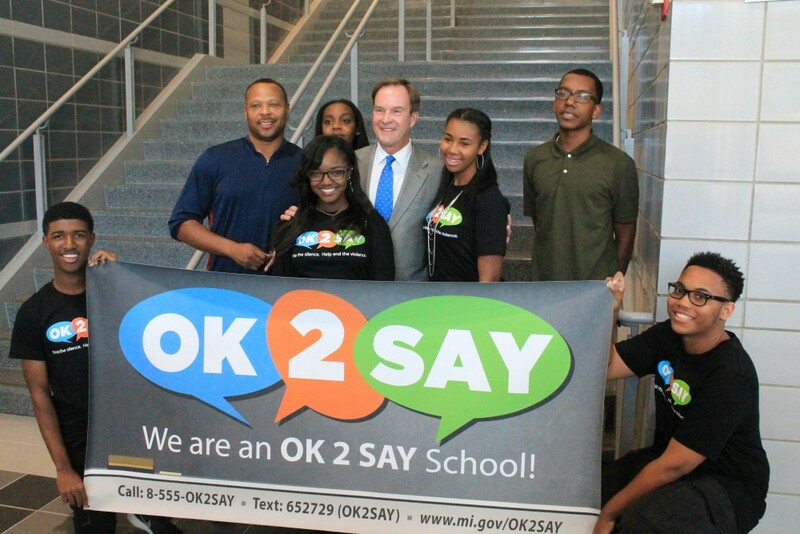 During the 2014-15 school year, the first year of OK2SAY, more than 1,400 tips were submitted by students across the State of Michigan. 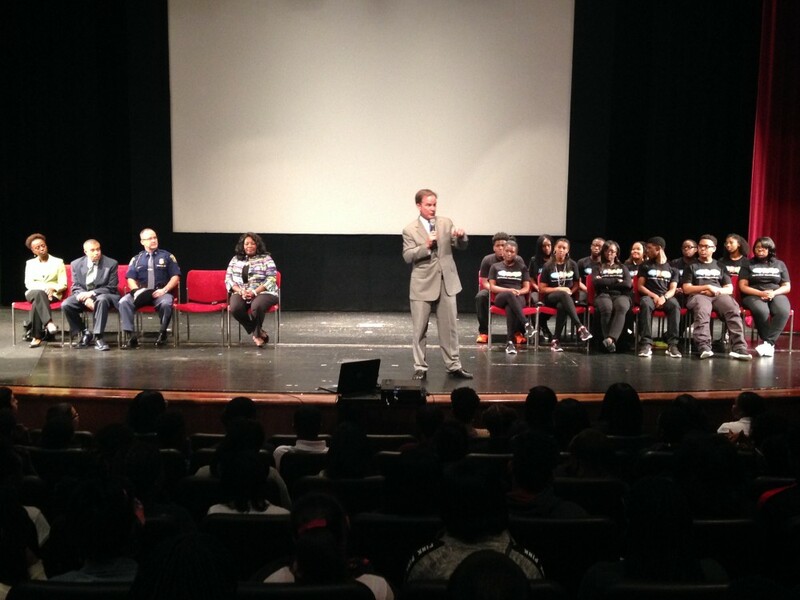 Most tips were related to bullying, cyber bullying and suicide, other tips included reporting drug use, weapon possession or assault. 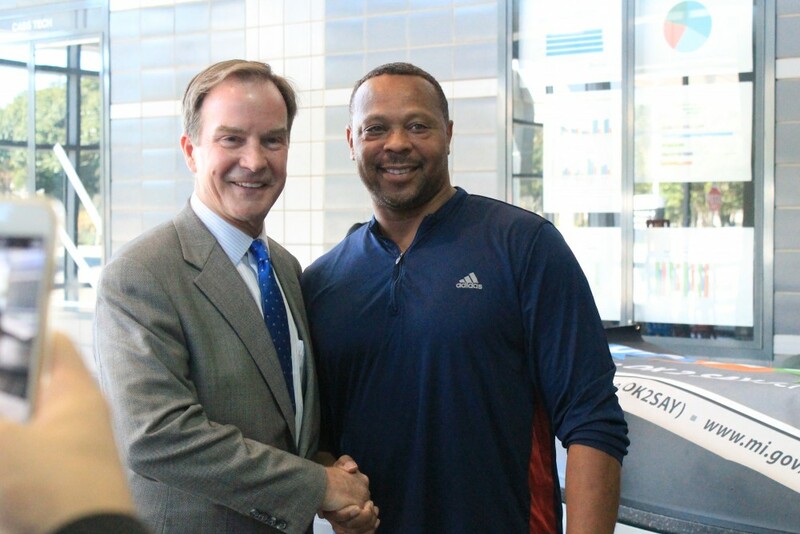 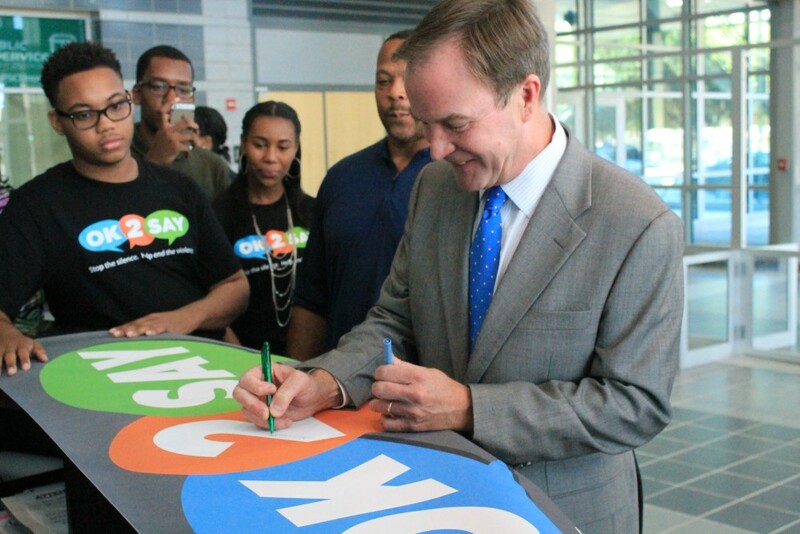 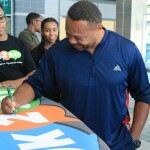 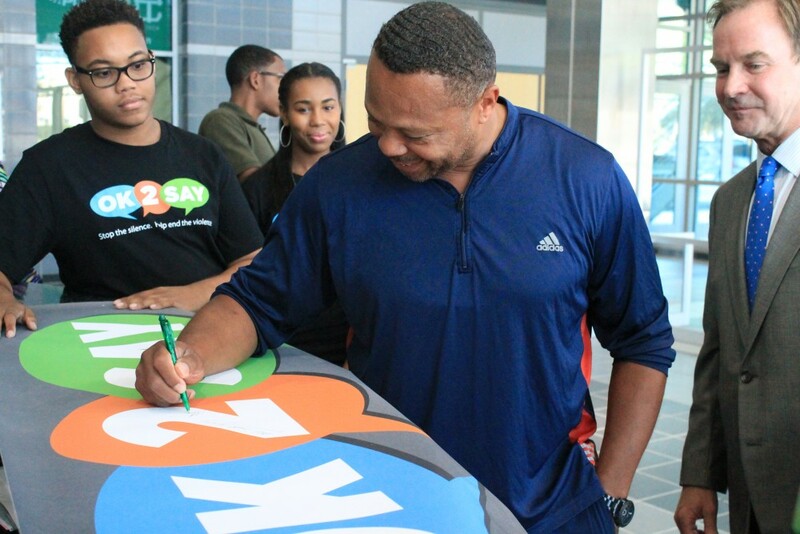 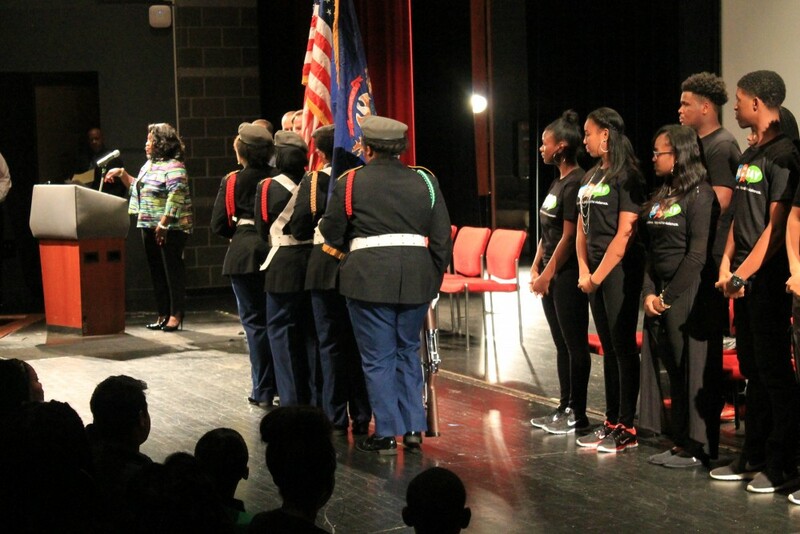 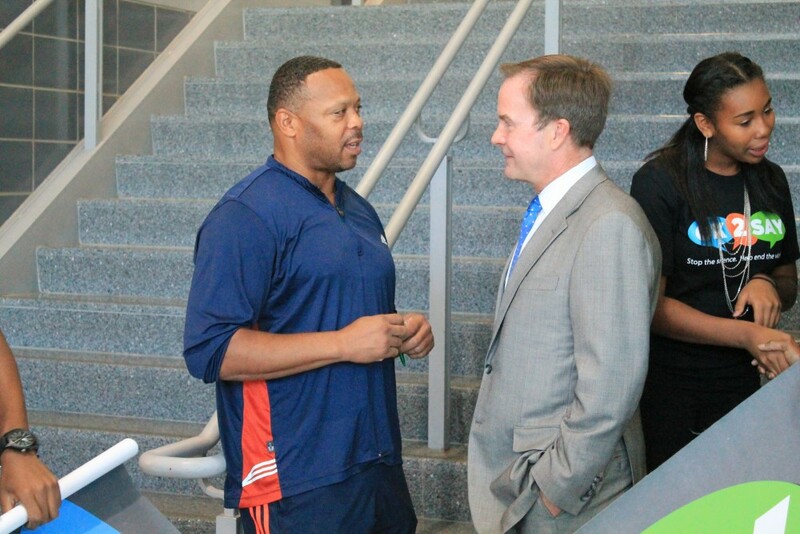 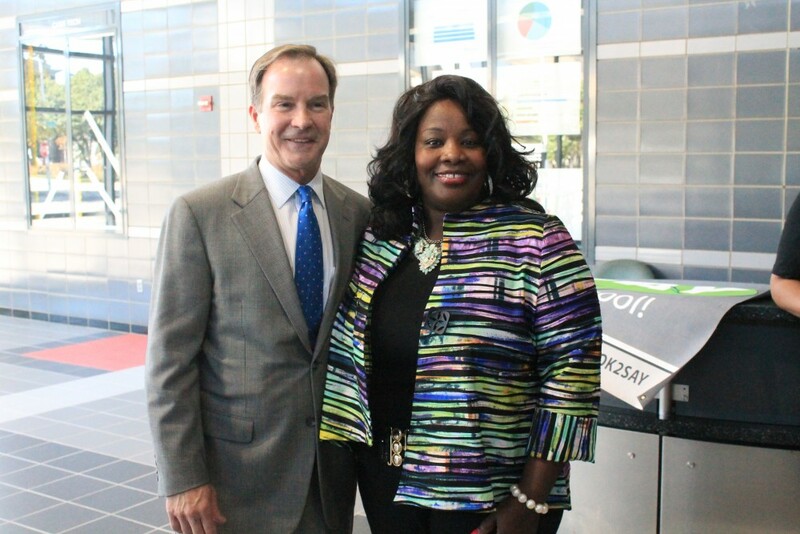 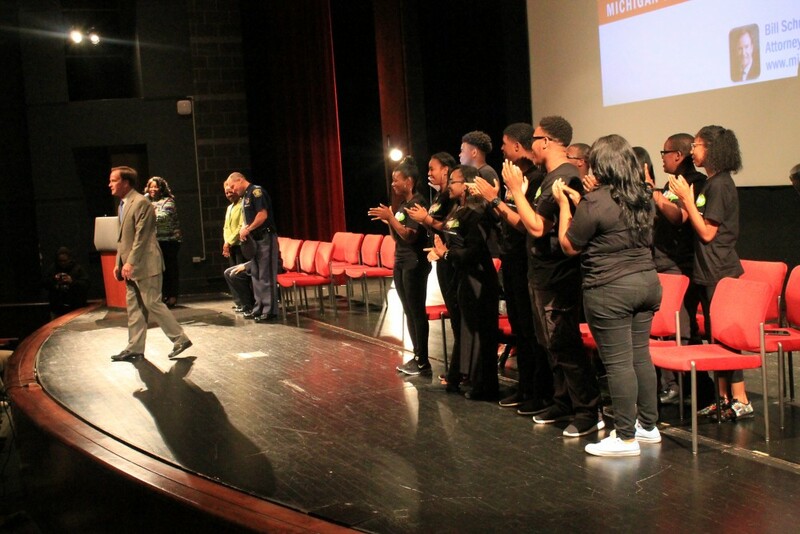 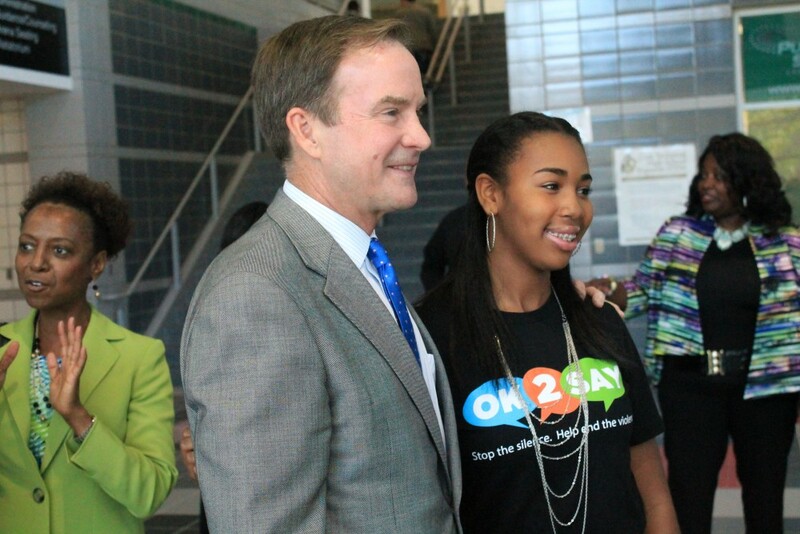 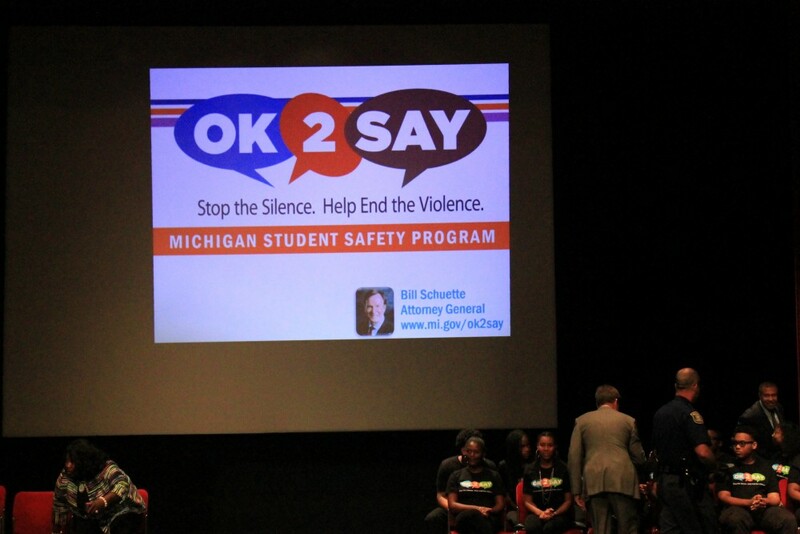 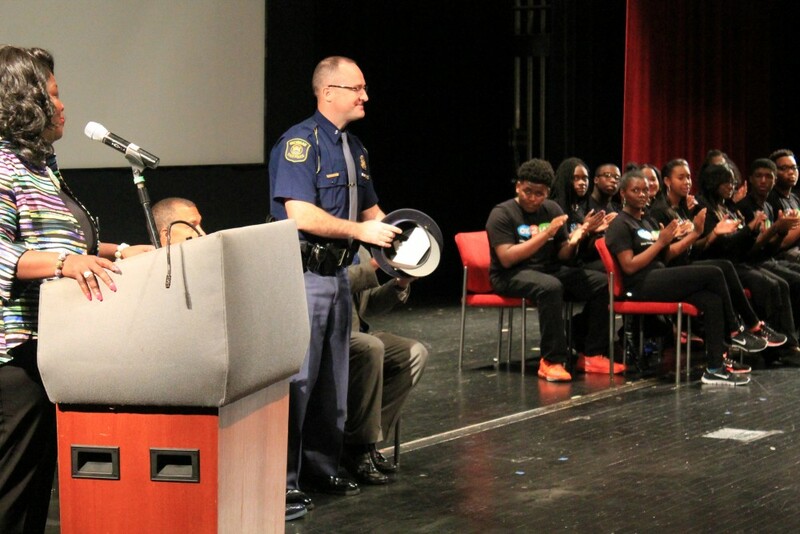 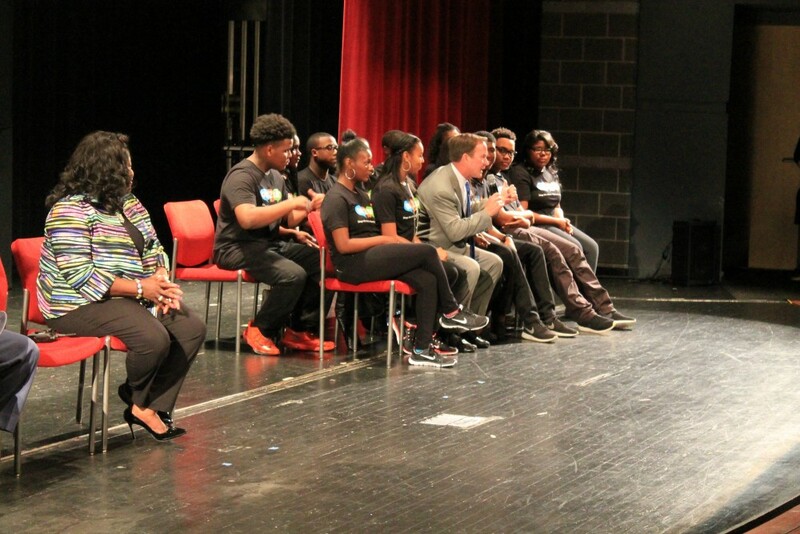 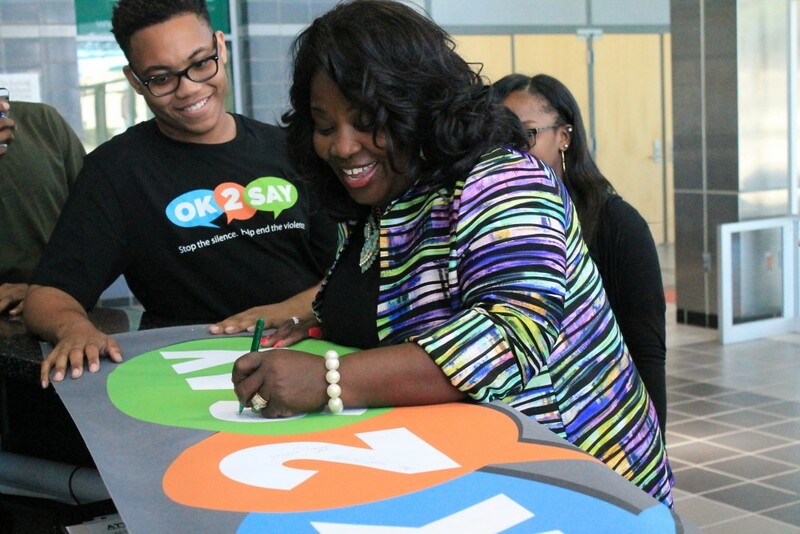 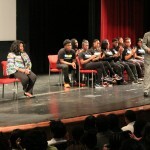 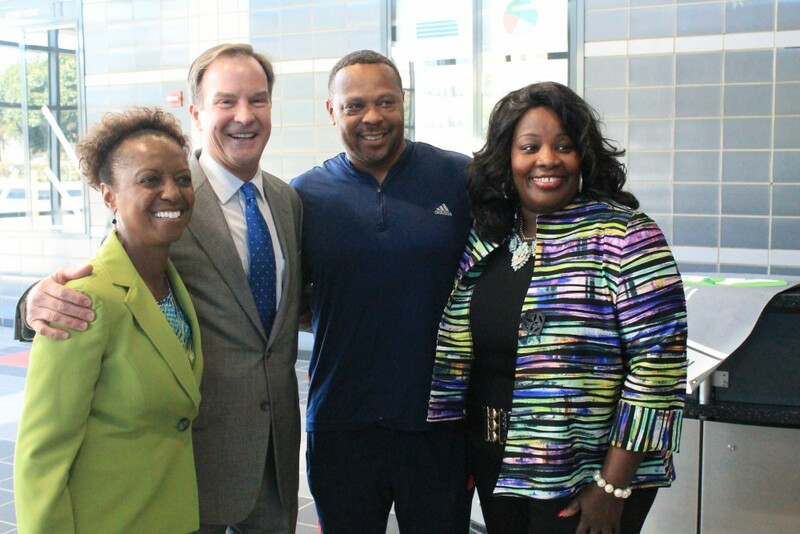 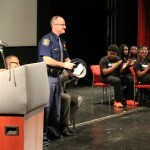 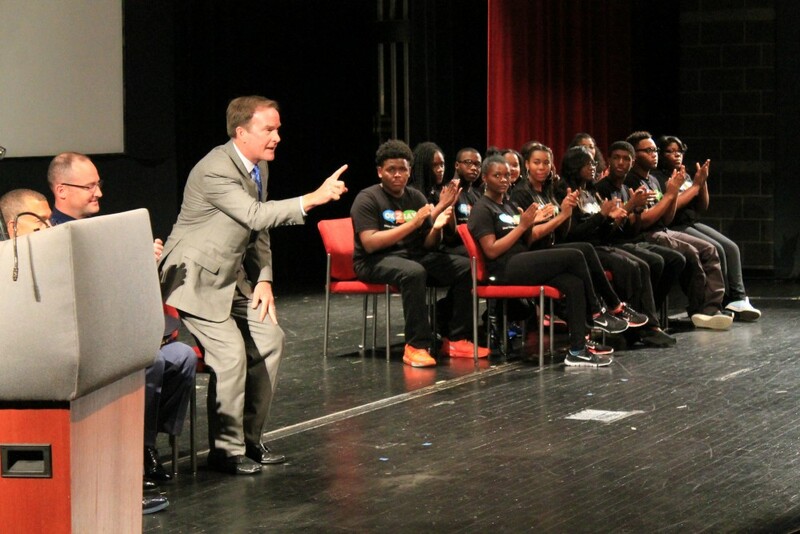 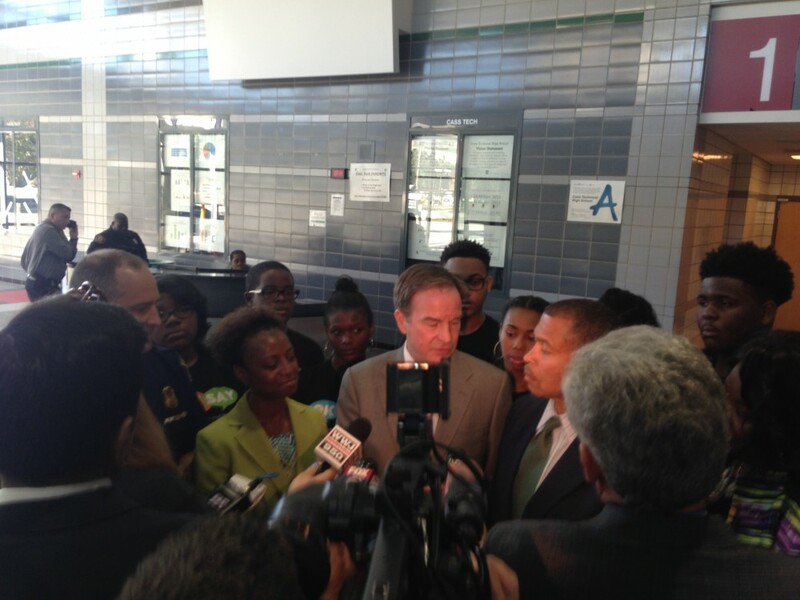 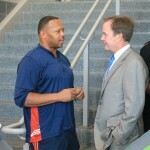 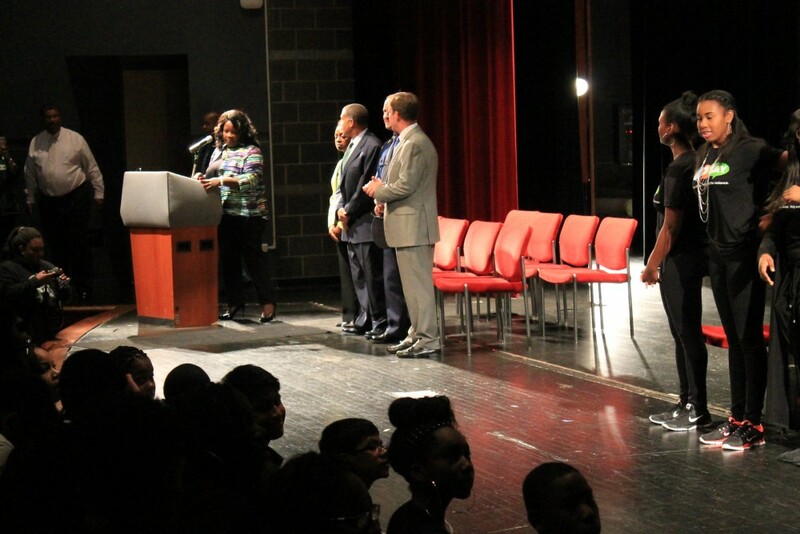 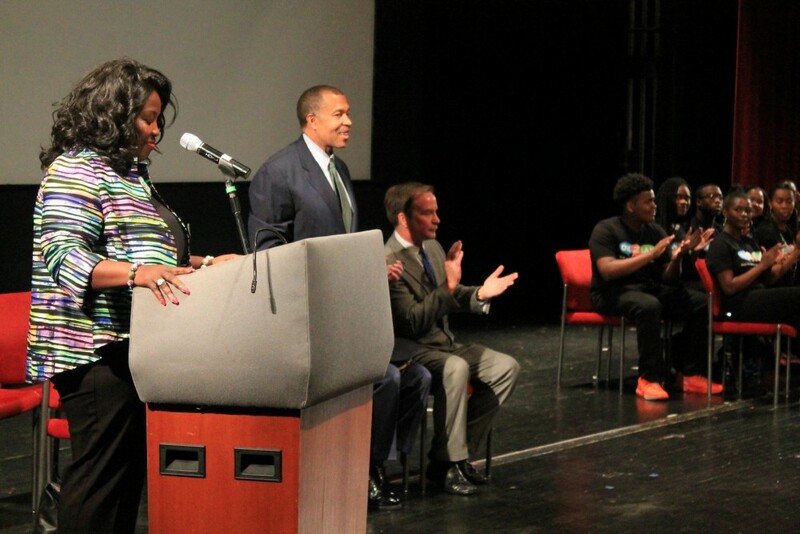 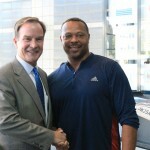 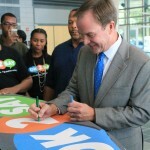 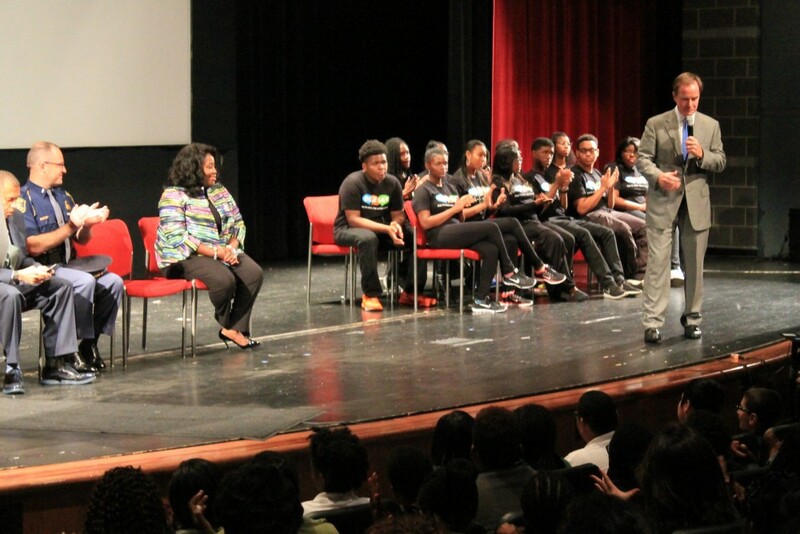 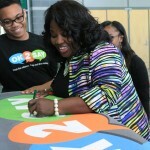 Schuette, Detroit Schools, MSP Promote Success of OK2SAY Student Safety Program September 22, 2015 OK2SAY is operated through a partnership between the Department of Attorney General, Michigan State Police, state agencies, schools, parents, law enforcement, and community leaders. 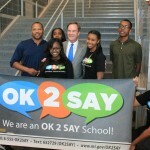 Comprehensive Technology: OK2SAY is operational 24 hours a day, seven days a week, every day of the year. The program accepts tips by phone, text message, email, mobile application, and website form, accessible at www.mi.gov/ok2say. 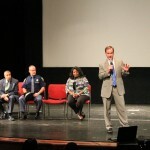 Photos, videos and links to additional information are encouraged. 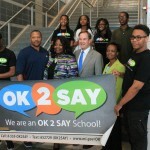 Accountability & Complete Disposition: To ensure tips are acted upon, agencies receiving tips are required to submit outcome reports to the Department of Attorney General. 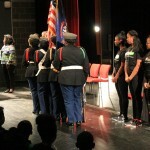 An annual report on the program’s impact will detail the types and numbers of tips handled throughout the year. 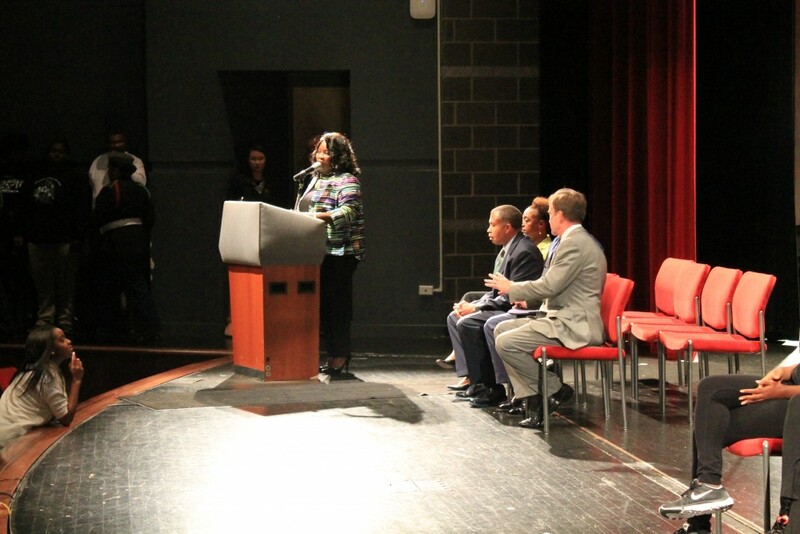 The 2014 report is available on the Attorney General’s website. 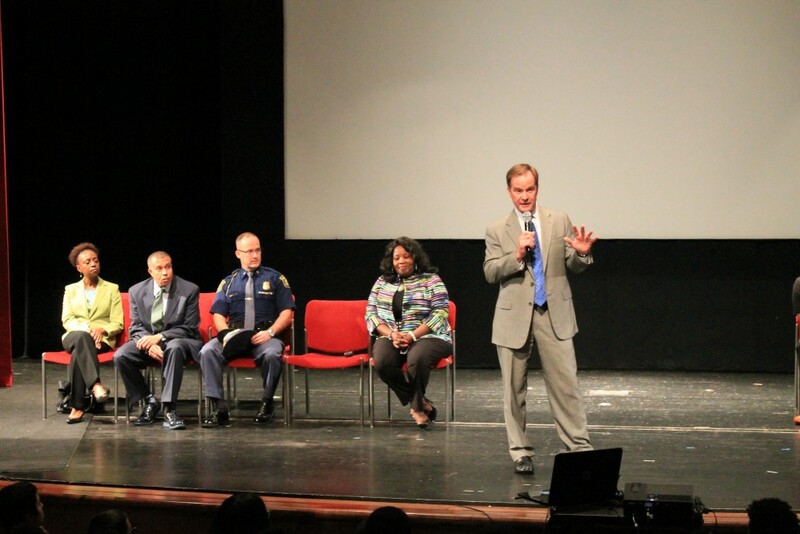 Students, teachers, parents, school officials, friends and neighbors can all submit tips, if they are aware of a threat in school.